The Chinese stock market has always largely been controlled by the State. Will things change now? While dealing with the recent fall of Shanghai Stock Exchange, the State showed panic. What will it do now? For an economy which claims to be the second largest in the world and a go-getter of iconic growth, recent fears and speculations in market are being seen as 'extraterrestrial'. In China, State intervention has always been instrumental in propelling economic success. Market volatility was unseen - at least, till now. But as with every economy, China is now going through a tough spell with regard to its economic curve. It has to unfasten its regulatory control over the economy and let a controlled fall take place. After the historic stock market crash in May this year, the recent blow can be termed as an aftershock of the same, but it was fuelled by a varied set of speculations. Recent data published by agencies in China indicate that industrial profits are considerably down irrespective of an attempt to relieve the pressure by exercising interest cuts. So far, interest rates have been cut thrice, but that has hardly helped. Moreover, the devaluation of renminbi created a fresh round of fear among investors. Is the stock crash the real indicator of market tendencies? Over the past 15 years, the stock markets emerged to support China's internationalisation strategies. Although the interbank bond market (over-the-counter bond market) has outgrown the exchange market in China, the stock exchange market is transacted openly and ordinary Chinese people closely follow it. It must be remembered that stock markets and especially the A-share market, which was slowly opened to the Chinese investors in 2000s, recorded explosive growth. A-shares gave a promising picture to investors which propelled further investment in real estate and higher spending. The sale of A-shares was so viral that stocks were traded for much higher valuations than what the same stock could be purchased for on a different exchange; short-selling was random and trending among a growing class of rich Chinese. Until recently, the stock markets were also seen as a fundraiser for new Chinese ambitions in the form of the Asian Infrastructure Investment Bank (AIIB) and the BRICS New Development Bank (NDB). To project and protect its global economic ambitions, China has to proceed with its plans of making sure the stock markets perform. That's why the stock market rose to fame after 2012 when the central authorities tried to curb inflation in the real estate market. What is wrong with Chinese stock market and leadership? To build a healthy market and achieve all-inclusive growth, economic institutions need to take independent decisions. But while dealing with the recent fall of Shanghai Stock Exchange, the State showed panic and set aside its own rules of ensuring objectivity while pursuing normal economic growth. The China Securities Regulatory Commission's (CSRC) intervention in advising big security firms to trade-off stocks was immature. The security firms had no choice but to submit. Thus, the panic and actions that followed did not conform to leadership policy initiatives to ensure rational growth and the 'new normal'. Such reactive measures to pull the reverse gear and manage the stock market fall may not serve China's purpose in the long run, as security firms have to let these stocks go into the market at some point and not hold on to them for an indefinite period. Moreover, the dampened shares will take time to recover the losses - which will happen only when the State ensures clear fundamentals in dealing with such crises. Else, in order to ensure adequate liquidity, lending may become viral across state agencies facilitating outrageous and often unaccounted borrowing. In the case of the recent stock exchange crisis in May, the China Securities Finance Corp (CSF) had to ask Central Bank and commercial banks for large amounts of money. The threshold liquidity being kept ready for infusion tallies between $300 billion and $400 billion. The cumulative liquidity could be a number of times bigger. Does it have any internal political slant? Until the 'new normal' related debate continues, Chinese leaders will attempt to introduce some crucial reforms in the economy. This will include fiscal and SOE-related major decisions. And as the mayhem continues, it is Premier Li Keqiang's credibility that is left hanging - which if not controlled, could bring about a political meltdown in China. It's not a secret that China is not fighting to arrest the receding growth - in fact, a few sections of political lords and their business conglomerations are playing upon the market fears. The fall of the Chinese stock market may continue for a longer spell. Historically, it takes time to restore market confidence after such a long period of sharp decline. Beijing is facing an uphill battle on numerous fronts including the currency devaluation and channeling money into the real economy. Banks are reluctant to lend as the slowing economy fuels a rise in bad loans. There is a hidden reluctance to government policing too, as it has been noticed in recent years that government orders are not effectively carried out by all. Irrespective of the government's move to prop up the market by pouring in funds and easing rules for insurers, apart from placing trust on major securities to broker the trade and buying, there is still an outstanding issue that the flow of capital does not translate into the real economic growth - at least in the first half of year did not follow that logic. Looking at the overall dynamics, there are strong speculations that China is going ahead with its plan to widen its currency-trading band. There will be a further devaluation around the fourth quarter, if required. So, the stock market may just witness further plummeting in next few months. The writer is an Associate Fellow with the Institute of Chinese Studies in New Delhi. TWEET THIS The Chinese stock market has always largely been controlled by the State. Will things change now? 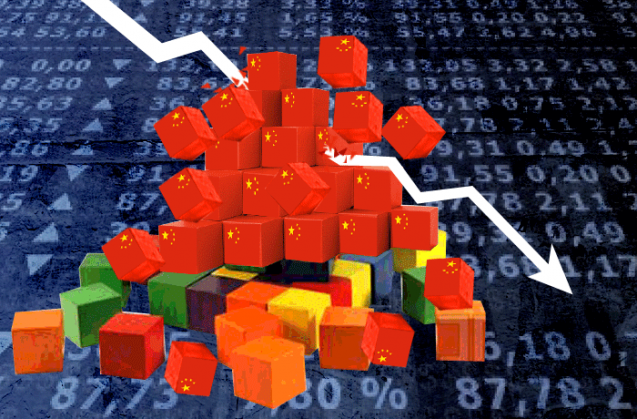 While dealing with the recent fall of Shanghai Stock Exchange, the State showed panic. What will it do now?